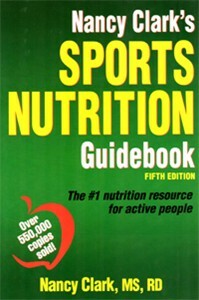 Sports Nutrition Guidebook is now in its 5th edition. All together, it has sold over 550,000 copies. Recommended for: weekend warriors as well as elite athletes. Nancy Clark, MS, RD, CSSD, is a recognized expert in sports nutrition. She earned a masters degree in nutrition from Boston University, obtained board-certification as a Specialist in Sports Dietetics (CSSD), and is also a certified WellCoach. Currently, she is in private practice in Newton, MA, where she advises athletes at the collegiate, Olympic, and professional level. She is also an athlete herself: she has biked across America, run marathons, and hiked the Himalayas. Chapter 14: Assessing Your Body: Fat, Fit, or Fine? As the Table of Contents suggests, this book is very thorough. The 4 major sections of this book are each useful, and, the content within each section is consistent with its title. Part I (172 pages): This part of the book provides a comprehensive review of all the major food groups (eg., carbs, protein, fats), and some important nutrition concepts for active adults (eg., rehydration, snacking, etc.). At 172 pages, this is the longest of the 4 parts and it could conceivably be a book in and of itself. The content here is very well done. 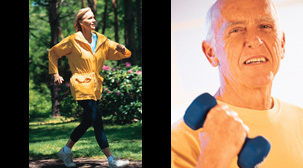 Lots of details and concepts relevant to active adults as well as athletes are provided. Part II (86 pages): This section appeals to the serious athlete. It adds to the concepts introduced in Part I. Clark offers some unique perspectives in this section, such as: nutrition issues for injured athletes, and, nutrition issues for older athletes. Part III (83 pages): This section focuses on weight-management issues. This is explored from a variety of angles: how to measure body composition, how to properly lose weight, how to properly gain weight, anorexia, amenorrhea, dieting myths. Again, the content here is well-done. Part IV (107 pages): This section of the book provides healthy recipes. It is nearly identical to the 4th edition. The 4th edition contained 73 recipes. The 5th edition offers 82. • Photos & Illustrations: The book does not contain any photos. The illustrations are satisfactory. • Tables & Graphs: There are many tables in this book; they are all easy to use. There are only several graphs, but, the ones that do appear are acceptable. • Documentation / Accuracy: This is a scientific book, so, it does cite published research throughout. The Bibliography at the end lists over 200 citations. • What I Liked About This Book: One of the strengths of this book is that it is easy to read. (The font styles and page layouts in this 5th edition are an improvement over the 4th edition, so, that helps, too.) Clark has done a nice job writing content that makes scientific and nutritional concepts easy to understand. • What Could Be Better: Honestly, it is difficult to find flaws with this book. I suppose that one could argue that the length of this book (now over 500 pages) might scare away some first-time readers. However, the book is not expensive, and, as mentioned above, it is easy to read. In summary, Sports Nutrition Guidebook, 5th ed is very well done. Pretty much everyone, whether they are a serious athlete or not, will find this book useful. Considering that Nancy Clark has all the "right" credentials to author a book like this, first-time readers can feel confident that the guidelines presented here are supported by solid science. I recommend it highly.